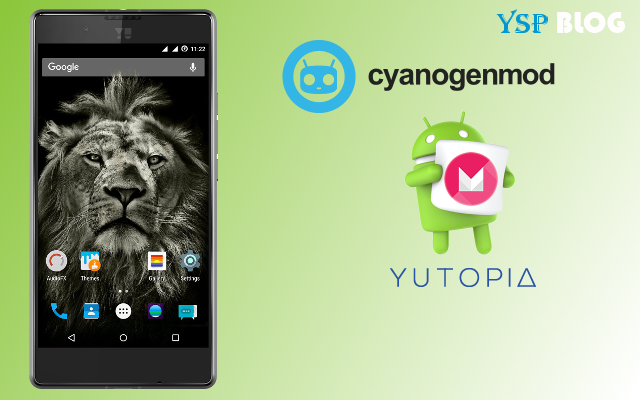 Android Marshmallow (Android 6.0) or Cyanogen OS 13.0 for YU Yutopia is a long way from being launched but if you can't wait that long and if you're comfortable tinkering your device you can get your hands on newest iteration of Android OS with a little help from CyanogenMod community which once again beats the official Cyanogen OS Teams and made the Nightlies for YU Yutopia based on Android Marshmallow available on CyaongenMod website. The build which was released today is unofficial and untested and may contain some bugs so be sure to check out the logs before downloading and installing it on your device. Below is the direct download links for the Nightlies. If you don't know about CyanogenMod or how it differs from CyanogenOS read this wiki here.